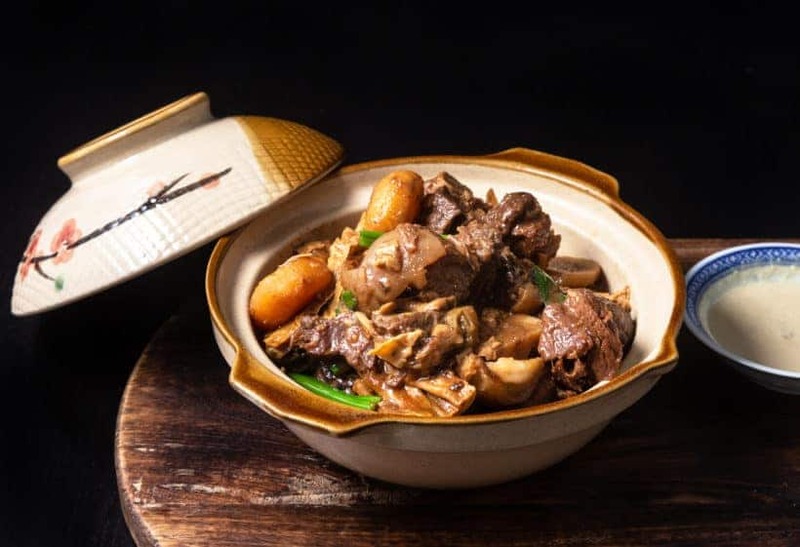 Hong Kong Style Lamb Stew Hot Pot (Chinese: 枝竹羊腩煲) is one of our favorite dishes at Chinese restaurants. It’s comfort food at its best! A must every winter (though we couldn’t resist eating it year round…hehe~). So we’re more than thrilled to share this lifelong love with you! 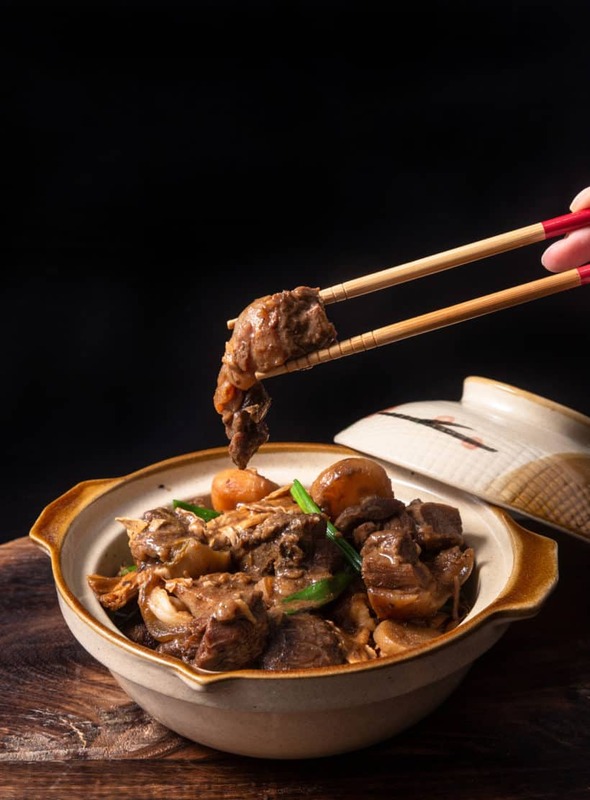 Lamb Stew Meat: tender, juicy, moist, & deeply flavorful lamb that you can easily tear apart with your teeth. 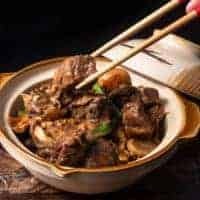 Shiitake Mushrooms: nicely cooked shitake mushrooms with a nice chew texture (not hard), soaked in with all the savory-umami juicy earthy flavors. Water Chestnuts: so refreshingly sweet, crunchy, juicy water chestnuts. Killer Dipping Sauce: so addictive to eat!! Savory, umami, sweet, hearty, creamy, deeply fermented flavorful sauce with a lovely aroma & smooth texture. 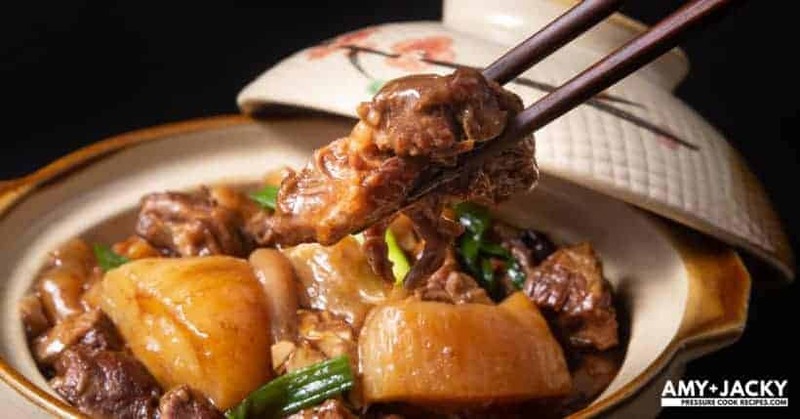 Easy to make Hong Kong Classic Favorite Instant Pot Chinese Lamb Stew (Chinese: 枝竹羊腩煲)! Super tender & juicy lamb bursting with deep savory-umami-sweet flavors, dipped in the killer sauce. The ultimate delicious comfort food! 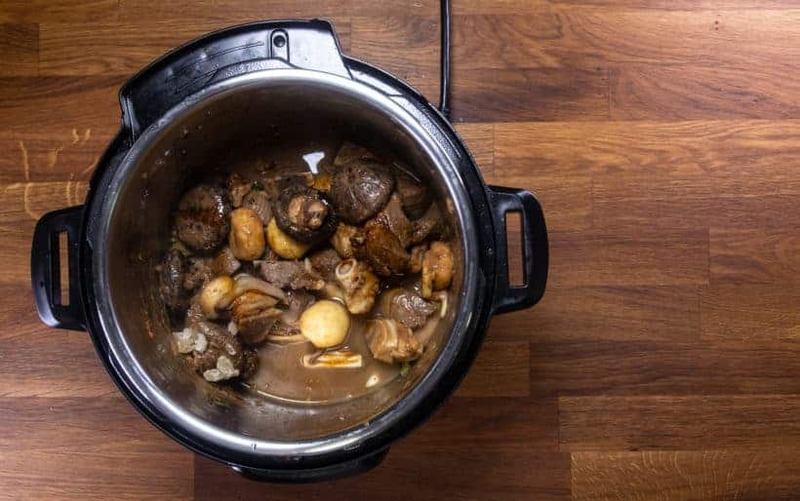 Brown Lamb Stew Meat: Heat up Instant Pot using Sauté More function. 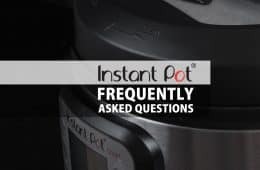 Wait until it says HOT (~8mins) - you want the Instant Pot to be as hot as it can be for the maillard reaction. 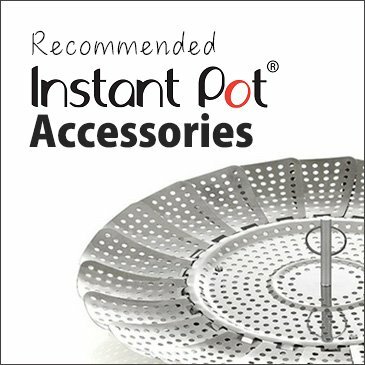 Drizzle the inner pot with 1 tbsp peanut oil or vegetable oil. 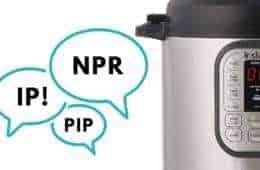 Then, brown 2 sides of the lamb stew meat for 3 minutes per side in Instant Pot. Saute Ginger and Garlic: Add crushed garlic cloves, sliced ginger, diced shallot, and the white part of the green onions in Instant Pot. Saute until fragrant (~2 mins). 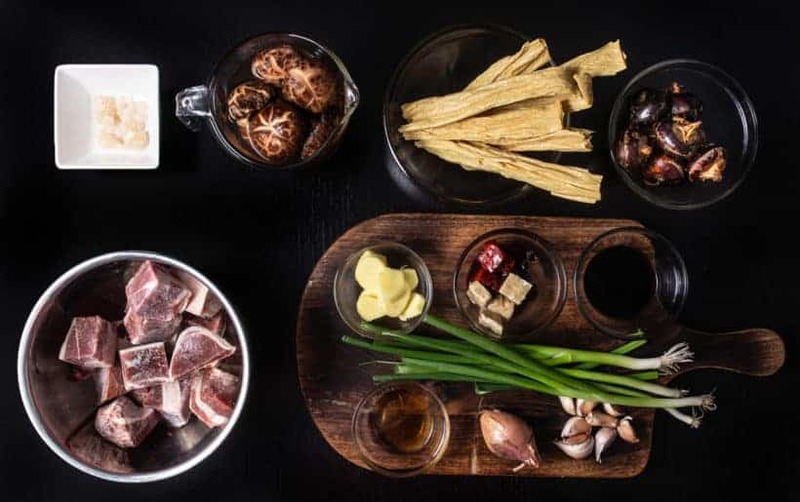 Saute Ingredients with Bean Curd Paste: Add 8 rehydrated shiitake mushrooms, 8 peeled water chestnuts, 1 tbsp (15g) chu hou paste, 2 tbsp (30g) fermented red bean curd, and 2 tbsp (30g) fermented bean curd in Instant Pot. Saute for 4 minutes. 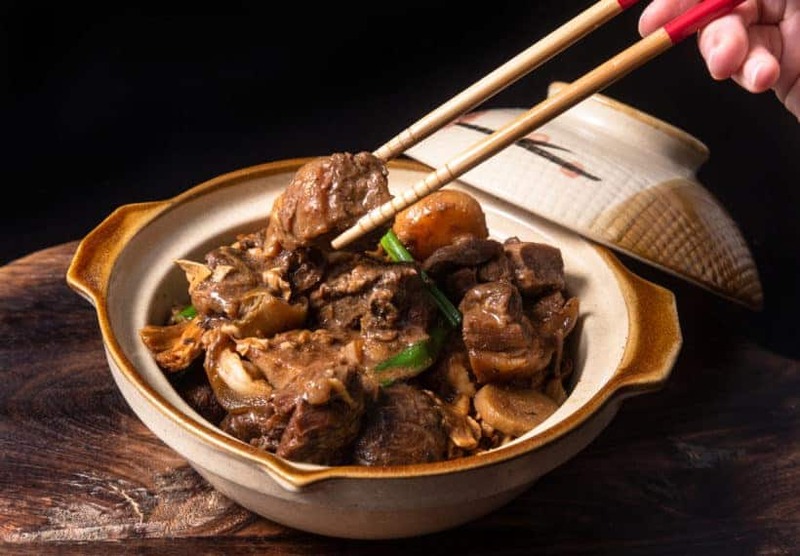 Deglaze with Shaoxing Wine: Pour in 1 tbsp Shaoxing wine (or dry sherry wine/water), then completely deglaze the bottom of the pot. 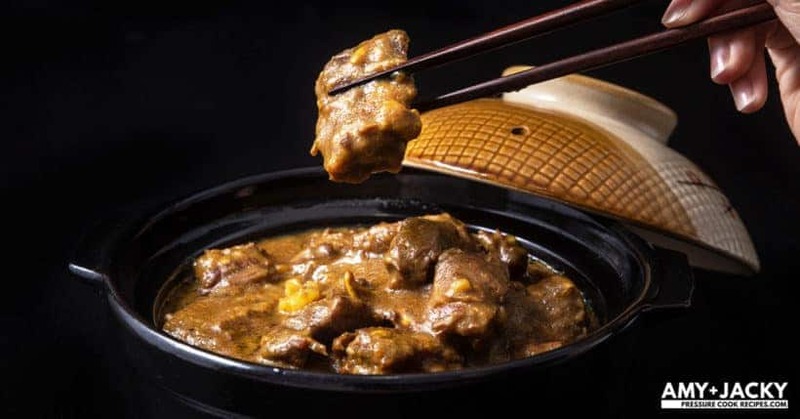 Pressure Cook Chinese Lamb Stew: Place 4 - 6 (90g) bean curd sheet at the bottom of the pot. Add in 1 cup (250ml) cold water, 1 tbsp (15g) rock sugar, 1 tbsp (15ml) dark soy sauce, and 1 tbsp (15ml) regular soy sauce. 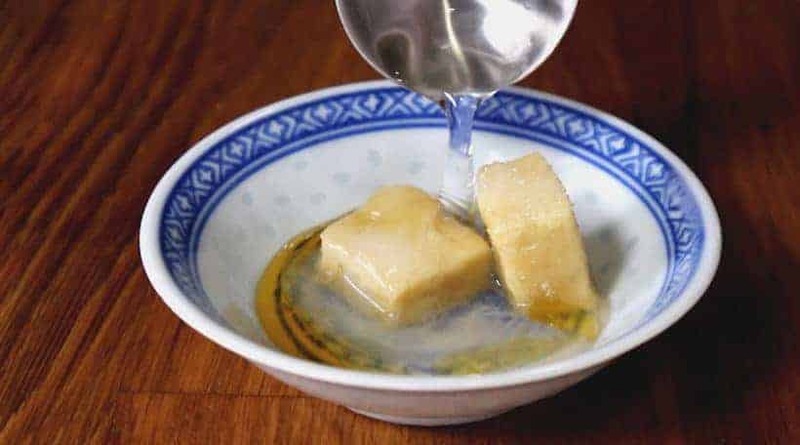 Make sure the bean curd sheets are fully submerged in the liquid. Pressure Cook at High Pressure for 50 minutes, then 25 minutes Natural Release. 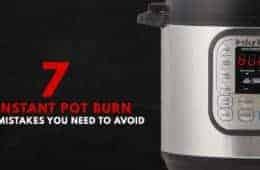 Remove the lid carefully. 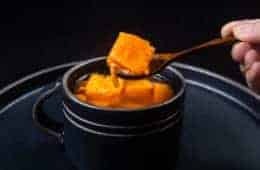 Make Killer Lamb Dipping Sauce: While the lamb stew is pressure cooking, mix 2 (30g) fermented bean curds, ½ tsp sugar, ½ tsp (2.5ml) sesame oil, and 1 tbsp (15ml) hot water together. *Pro Tip: Dehydrate dried shiitake mushrooms in a cup of water for 30 minutes. 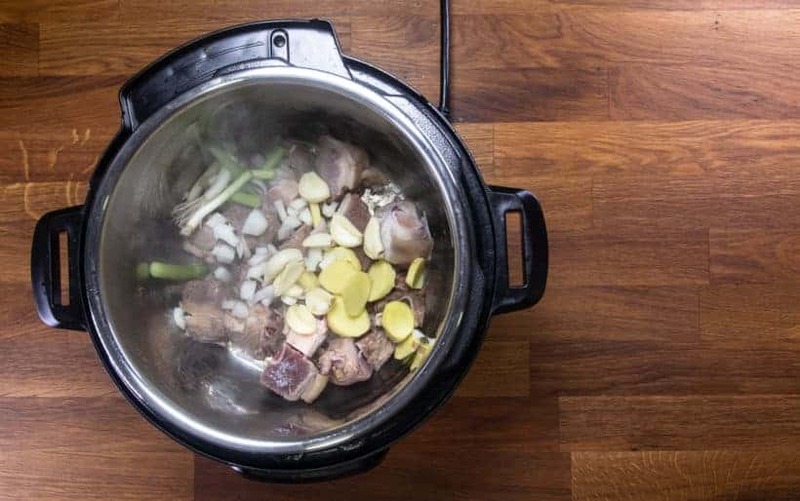 *Pro Tip – Parboiling Lamb: Some of you may ask if we need to parboil the lamb stew meat before we brown it. I will say no because parboiling the lamb can remove some of the flavor/nutrients, especially because we are not making a clear soup here. Drizzle the inner pot with 1 tbsp peanut oil or vegetable oil. 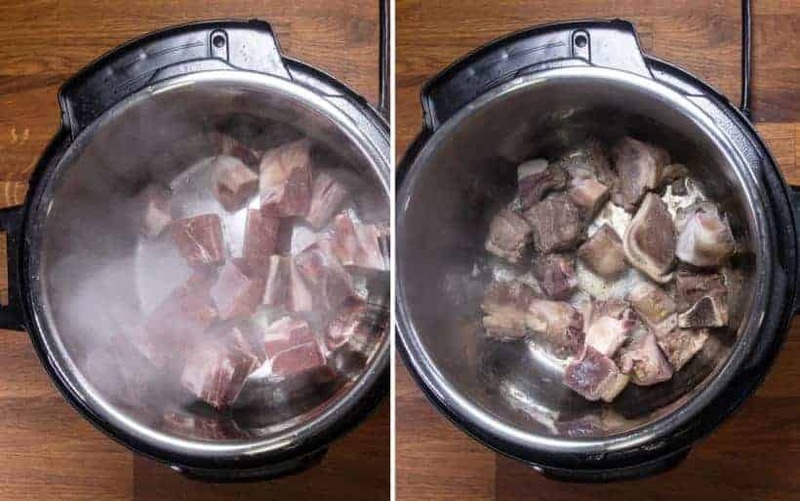 Then, brown 2 sides of the lamb stew meat for 3 minutes per side in Instant Pot Pressure Cooker. Add crushed garlic cloves, sliced ginger, diced shallot, and the white part of the green onions in Instant Pot. Saute until fragrant (roughly 2 minutes). 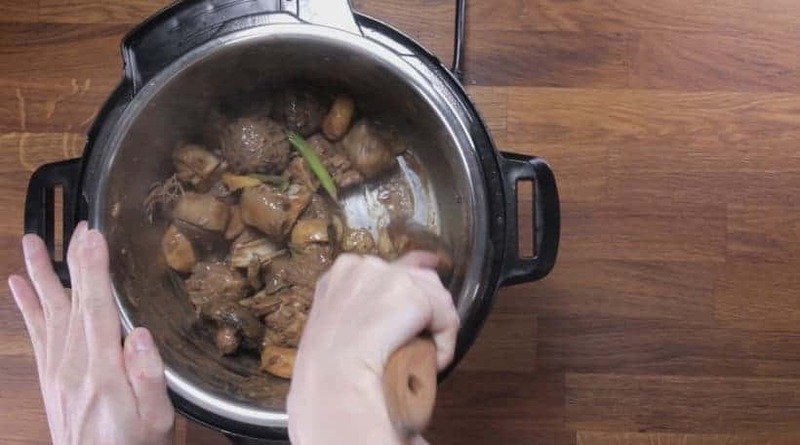 Add 8 rehydrated shiitake mushrooms, 8 peeled water chestnuts, 1 tbsp (15g) chu hou paste, 2 tbsp (30g) fermented red bean curd, and 2 tbsp (30g) fermented bean curd in Instant Pot. Saute for 4 minutes. Pour in 1 tbsp Shaoxing wine (or dry sherry wine/water) and completely deglaze the bottom of the pot. Place 4 – 6 (90g) bean curd sheet at the bottom of the pot. Add in 1 cup (250ml) cold water, 1 tbsp (15g) rock sugar, 1 tbsp (15ml) dark soy sauce, and 1 tbsp (15ml) regular soy sauce. *Pro Tip: Make sure the bean curd sheets are fully submerged in the liquid. 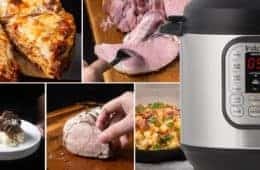 Pressure Cooking Method: Pressure Cook at High Pressure for 50 minutes, then 25 minutes Natural Release. 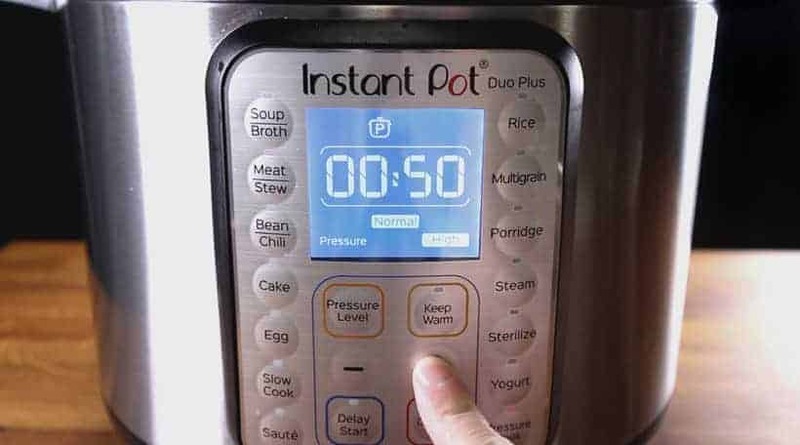 After 25 minutes, release the remaining pressure by turning the Venting Knob to the Venting position. 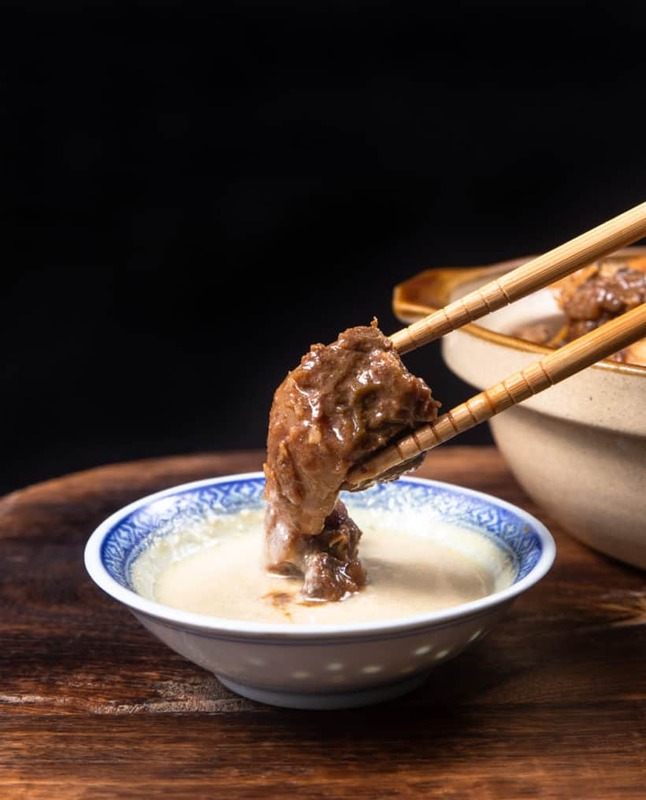 While the lamb stew is pressure cooking, create this killer lamb dipping sauce. Mix 2 (30g) fermented bean curds, ½ tsp sugar, ½ tsp (2.5ml) sesame oil, and 1 tbsp (15ml) hot water together. 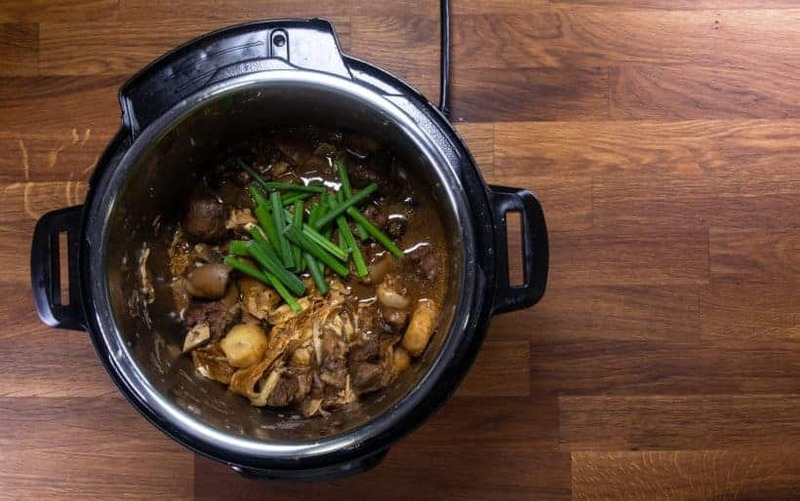 Add green onion stalks to the lamb stew and give it a quick mix. Taste and adjust seasoning by adding more salt if necessary. 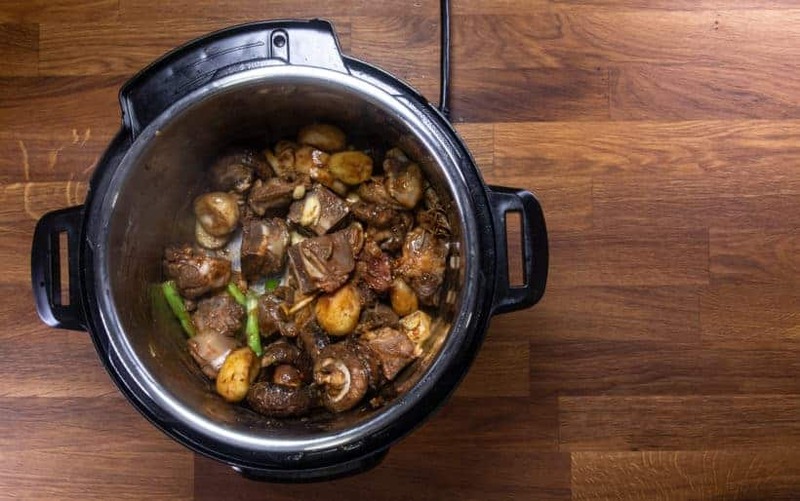 Serve Instant Pot Chinese Lamb Stew with Killer Lamb Dipping Sauce! Thanks for the nice receipt. We love it. It is a little too soft for us though. 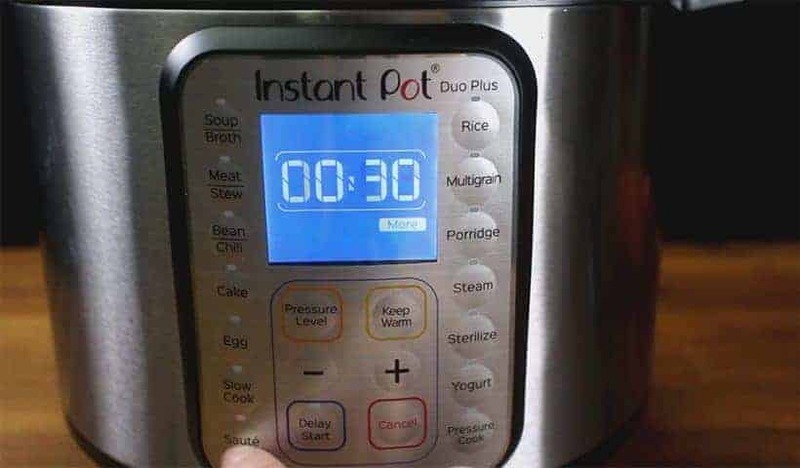 I recommend pressure cook for 30 minutes only. 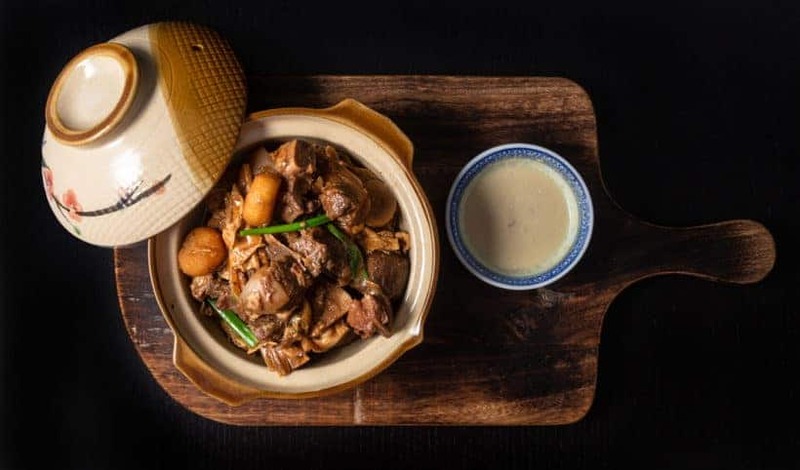 Traditionally we use goat not lamb meat for this dish! Maybe that’s why I need to reduce the time! Really great! Very authentic! Will be making it for the family for in-laws for CNY. They’ll be blown away! I doubled the quantity (that’s how confident I am with your recipes!) and it was delicious. 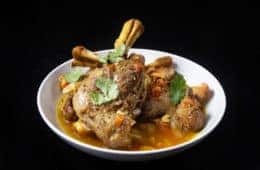 I can’t find “lamb stew meat” – can the fattier portions from a boneles leg of lamb be used instead? Also can only fermented red bean curd work for the recipe and dipping sauce as I don’t have the regular bean curd on hand. The fattier portions from leg of lamb will work fine. If you can, I recommend using the regular kind of bean curd as the taste is quite different. Braised pork belly with preserved greens is yummy! I have added it to our long to make list.